On a recent Saturday morning, a dozen Afghan women gathered in southern Moscow for their weekly Russian lesson. A few chatted effortlessly, the words gliding between them. Others could just about manage a brief introduction. One year ago, Farkhunda — who like others in this story, only gave her first name — and her new husband left their native Kabul for Moscow. He also gave up his studies, and now works as a market seller, peddling trinkets and lighters. Moscow is home to a lively but cowed Afghan community, which centers around a cluster of gray tower blocks that make up the Soviet-era Sevastopol Hotel. It is in one of the hotel’s low-ceilinged rooms where an affable, middle-aged Russian woman teaches them. For her students, this is often their only engagement with life outside of the home. Afghanistan’s deeply patriarchal society, combined with Russia’s pervasive and sometimes violent xenophobia, means the women often pass their days at home with the children, while their husbands are out working. Most of the men have found work in the Sevastopol, which no longer functions as a hotel but is instead a jumbled shopping center, where rickety elevators deliver Russian customers to boxy rooms filled with mass-produced plastic, from fidget spinners to shisha pipes. 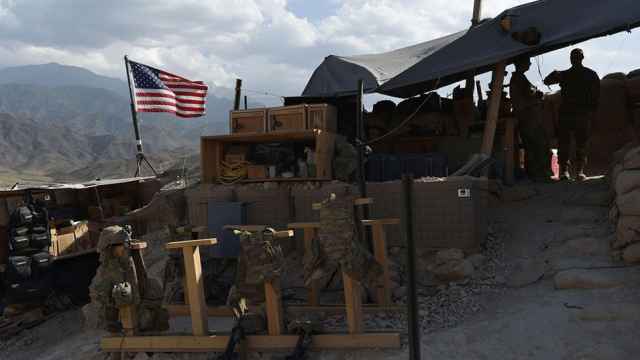 Nearly 40 years of conflict, government instability and a security vacuum created by the withdrawal of foreign combat troops three years ago have taken their toll on Afghans. Hundreds of thousands of Afghans have fled in recent years, adding to the millions already scattered across the globe. 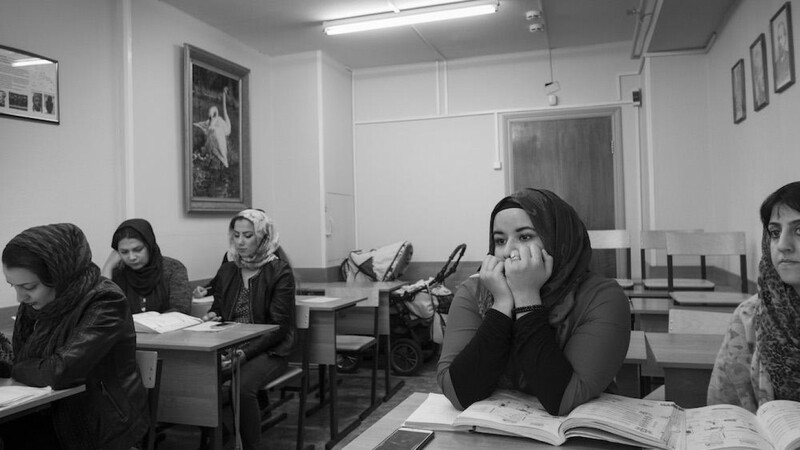 The Afghan women at the Sevastopol say their lives are deeply lonely. Wearing hijabs, and with little to no Russian, they rarely venture out of their cramped apartments — and these are the women whose husbands have given them permission to do so. There are thousands more for whom Russia barely differs from Afghanistan, except for electricity and absence of bombs. Latifa Mikmuhammad, the vivacious director of the Afghan community’s women’s committee, set up the Russian language program eight months ago. “They’re not just learning Russian, they’re learning a form of independence,” she says. Glasses of pungent green tea and jalebi, swirls of fluorescent orange sweets dripping in sugar, are passed around while she speaks. In the corridor, six hundred years of Afghan kings adorn the walls in sketches and photos. “I wanted to help these women,” Mikmuhammad says. “They were living like they did in Afghanistan, totally sealed off from the world.” She also publishes a trilingual digest, where news about women from home appears alongside Afghan recipes and poetry by Alexander Pushkin. They are not welcomed in Russia, but they are safe. Mikmuhammad recalls the difficulties she had when she first moved from Kabul a decade ago, when she was just twenty. 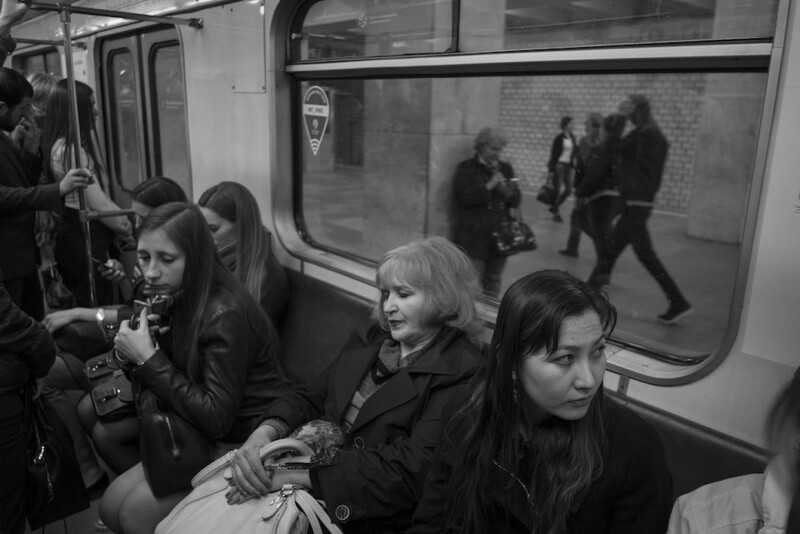 “The language was impossible, the people were cold,” she says in rapid Russian. “My children were always asking me: ‘Why do they call me black at school?’” she says with exasperation, referring to Russian derogatory slang used to describe people from the Caucasus and Central Asia. After the lessons, the women convene for lunch with their children. They take it in turns to make huge pots of maash palao, or rice with mung beans, and baked chicken. They huddle around a long table, trading the latest gossip from home or sharing concerns about their new lives, wondering how they will cope in this country of suspicious looks and perpetual snowfall. They are not welcomed in Russia, but they are safe. Seeking asylum and obtaining refugee status in Russia is notoriously difficult, and the country is often criticized by rights defenders for not doing enough. Even though Russia adopted the UN mandate on refugees, which means it is duty-bound to accept them, a potent mixture of reluctance at the state level and an inefficient migration service means relatively few make it in. Syria is a case in point: only two Syrian asylum seekers have had their applications approved, despite Russia’s nearly three-year military intervention there. When thousands of migrants from war-torn countries transited on bicycles through Russia’s Arctic border with Norway two years ago, some in the EU suspected the Kremlin of playing a role. The Kabul-based Afghanistan Analysts Network described how an Afghan migrant was handed a bicycle by Russian border guards in northern Russia. According to the UN Refugee Agency, the majority of Russia’s applications in recent years have come from Ukraine, where Kiev and Moscow-backed separatists are at war. Before, Afghans occupied the top spot, and the success rate was very low — no more than 5 percent of applications were approved. 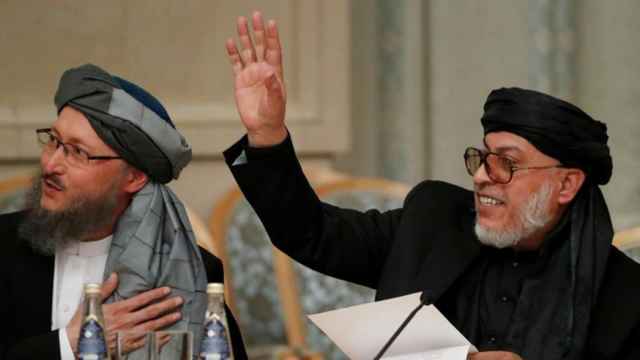 A vast country of 142 million, Russia is currently home to just over a thousand Afghans with some form of legal status. By comparison, almost 150,000 Ukrainians were granted temporary protection by Moscow in 2015. The women who come to study Russian each week, as well as their husbands and children, live on yearly visas that have to be renewed. Their futures are mired in uncertainty. 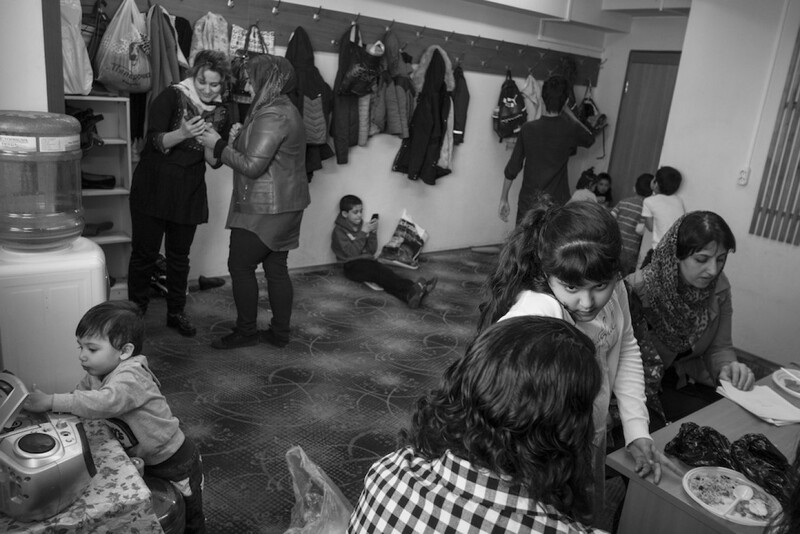 Without official status, the children cannot attend Russian schools, meaning many receive no formal education. Some still cling onto the hope that they can be resettled by the UN to a western European country, as thousands were a decade ago. 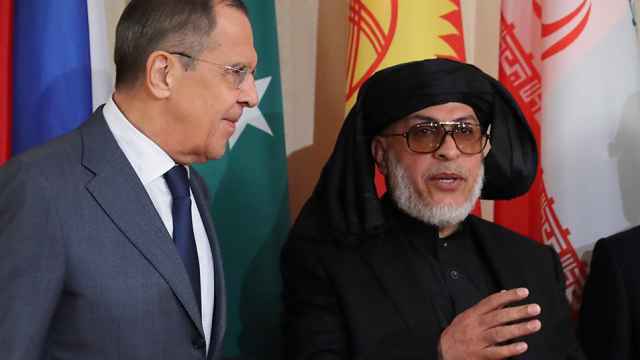 Most Afghans with legal status in Russia came during the 1990s, following Moscow’s disastrous, decade-long war in Afghanistan. The Soviet Union’s 1979 invasion is widely acknowledged as the onset of the decades of blood and turmoil that continues today. 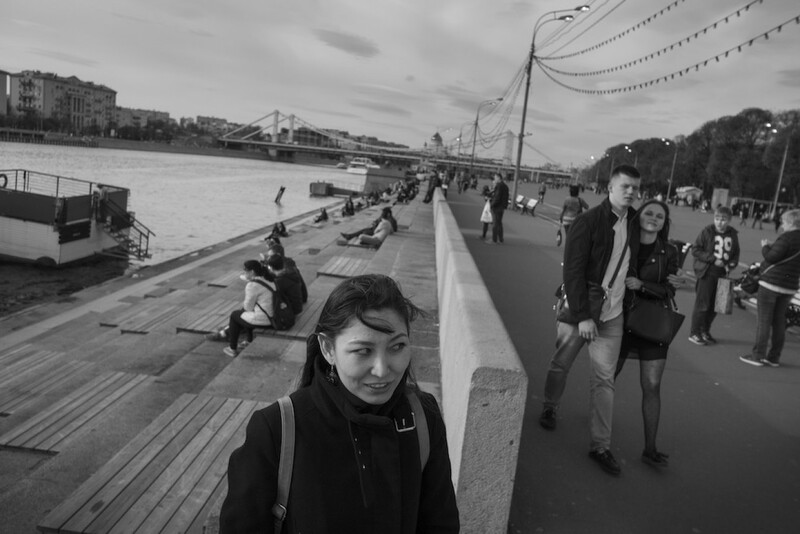 For the Afghans in Moscow, there are few hard feelings. 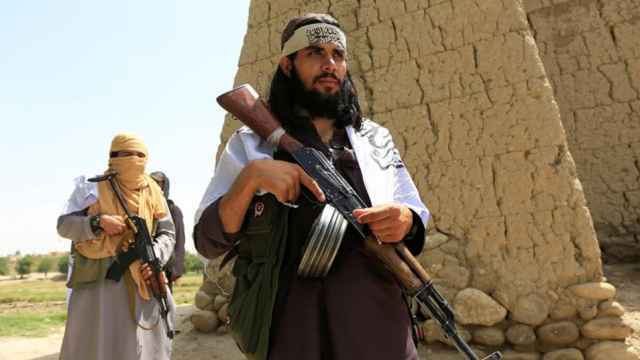 Instead, their anger is directed at America, whose 16-year fight against the powerful Taliban is a source of immense frustration. “NATO is so powerful, but how did they train such a weak army?” asks Ghulam Jalal, the head of the Center for Afghan Diasporas, a non-governmental organization that presides over the 10,000-strong community in and around the Sevastopol. His center estimates the Russian capital is home to 50,000 Afghans in total. “We’ve waited for peace for forty years. It’s someone else’s turn now,” says Jalal, who came to Moscow in 1993 after serving in the Afghan army alongside Soviet soldiers. With his purple suit and bushy black mustache, Jalal is a striking figure. His office is decorated with plush Afghan rugs and paintings of the sun-bleached countryside where he grew up. Stretching across the entire ceiling is a map of Afghanistan. “That way I’m never far from my homeland,” Jalal says, his voice pinched with emotion. Almost twenty years ago, Jalal opened a small school on site, so children growing up in Moscow could learn their parents’ languages, Dari and Pashto. Kadria has been teaching there since the beginning. “It’s important they don’t forget their heritage, that we are Afghans,” she says, next door to where the women are studying Russian. Sensing lunch time was nearing, her pupils become restless, and start talking among themselves in Russian. Kadria lives with her husband and three children, whom she also teaches, in a one-room apartment on the outskirts of Moscow.